It’s been a while! How are you? 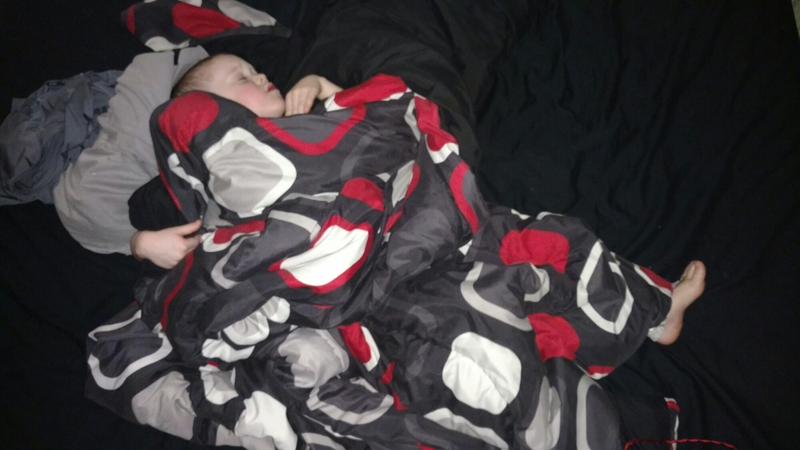 I’m writing this post as a super excited parent of an almost 3 year old (10 more days!). How is that possible?! Little Man has been able to recognize his letters by look for a little while now, but we didn’t really concentrate on the sounds those letters make. 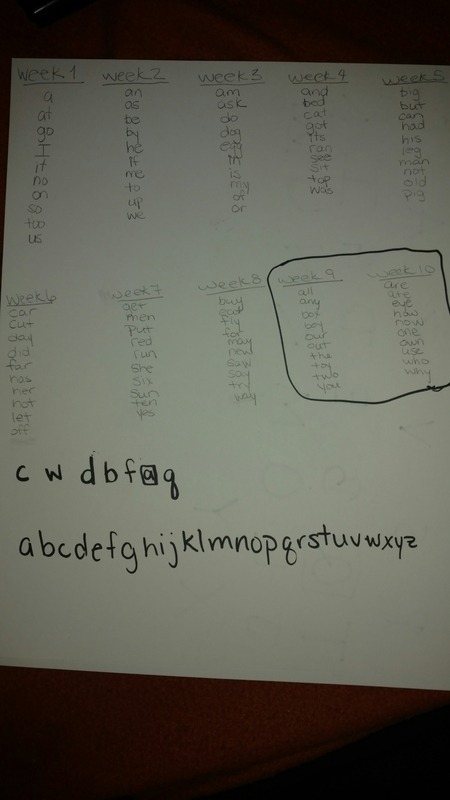 Within the last month or so, he picked up the letter sounds and showed me yesterday that he knew a large majority of them (he doesn’t know Q or W and only knows one sound per vowel). After talking, his dad and I decided that we should try to start teaching him to read and see how it goes. So I got on Google (Best. Invention. Ever.) and looked up a list of sight words. I found this list and took the one, two, and three letter words off of the list then saved the rest for later. My list came out to 100 words. I then color coded the words based on difficulty and when I’d use them. The later weeks are harder things like silent e and letter combinations (th, ow, wh, etc.). 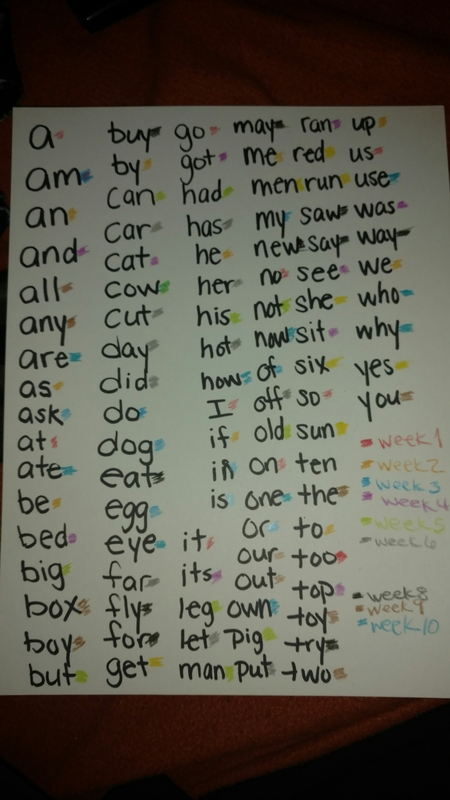 I wrote out the lists to make sure they were all equal, 10 words per week. I then realized Little Man doesn’t really recognize lowercase letters as well as he does uppercase, so I decided to write his flash cards in uppercase. 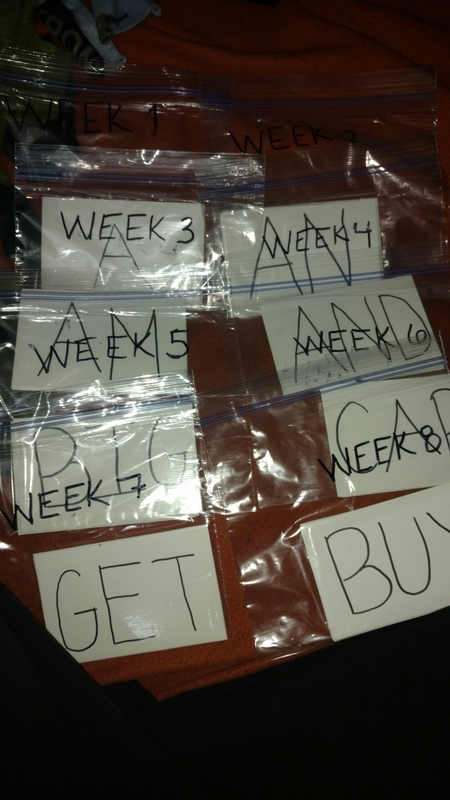 Then I made the flash cards and divided them into bags by week. We did week one today and it’s turning out GREAT. The oo sound made Little Man giggle a bit, but he’s sounding the words out and putting them together. While I want him to stay little as long as possible, it’s so amazing seeing him learn and grow. If you have any questions about what else I plan to do, please don’t be afraid to ask whether it be an email or a comment! I’ll update as we continue!